VietNamNet Bridge – Prime Minister Nguyen Tan Dung on Wednesday approved an investment report on the construction of Long Thanh International Airport near HCM City. The report includes recommendations by the Ministry of Transport and the State Assessment Council on the project, which aims to develop Long Thanh in Dong Nai Province as a gateway to Viet Nam and a Southeast Asian aviation hub. According to the report, the airport should also qualify for 4F classification by the International Civil Aviation Organisation. Long Thanh International Airport is expected to handle 100 million passengers and 5 million tonnes of cargo per year by 2030. During its first phase, ending in 2025, the 5,000ha airport is expected to handle 25 million passengers and 1.2 million tonnes. Construction of this phase is estimated to cost VND164 trillion (US$7.84 billion). Dung has also instructed Minister of Transport Dinh La Thang to report on the investment plan on behalf of the government to the National Assembly this month. 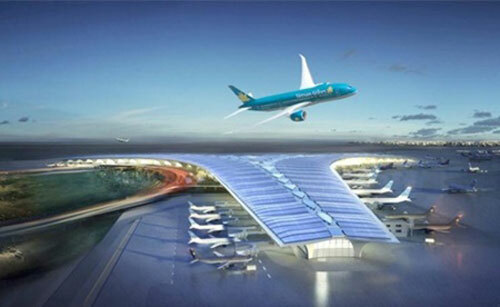 The house will make a decision on the airport, which is expected to ease the burden on Tan Son Nhat Aiport in HCM City. Speaking at a meeting of the State Assessment Council on August 15, deputy chairman of the city People's Committee, Nguyen Huu Tin, had said the city's transport facilities would be overwhelmed by 2020 if Long Thanh Airport did not open by then and instead Tan Son Nhat's capacity was raised from the current 20 million passengers to 25 million. So Long Thanh's opening by 2020 was imperative, he had said. The council had voted to approve the report. Long Thanh Airport is scheduled to open in 2020, according to Dong Nai authorities. To be built in three phases, it is expected to be fully operational by 2035. To cost more than US$10 billion, Long Thanh is expected to become a competitive international airport and a key entry point to Southeast Asia. Funding for the project will come from Government bonds, official development assistance, and private sources.